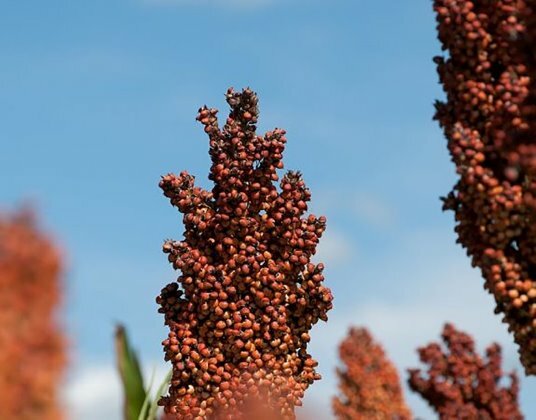 One of the major limiting factors for using sorghum in animal feed is presence of anti-nutritional factors especially trypsin inhibitor and condensed tannins. Tannins (condensed) are polyphenols of vegetal origin. They precipitate proteins, forming enzyme-resistant complexes, that plant use as a chemical defence solution against pathogen germs and herbivores. The effects of tannin are particularly severe in monogastric animals like poultry, where anti-nutritional factors reduce growth rate of the birds by limiting the availability of certain nutrients e.g. protein and carbohydrate in the gut. In addition, there is a significant correlation between tannin-content and the energy value of the finished product.